I know I said I’d do a Post A Day. I tried. I’ve just found that either I don’t have something to write about or, more likely, I don’t have the time to do it. It’s hard to do a full time job, be a full time dad and still write something interesting that people are going to want to read on the blog. I’m going to stop trying to do a post every day. If I have time to write one – and something to write about – I will. If not, I won’t. I will still give you a recipe every weekend. I hope this makes the quality of what appears here better. Sorry I haven’t posted much in the last few days. I know I took the post-a-day pledge and I’ve definitely been trying, but the last few days have been hectic and I haven’t gotten around to typing. I promise, I’ll be back tomorrow with the weekend recipe. I went to the iDigital store today to get my iPod touch repaired. I’ve had it about 7 months, most of the time it has spent in my pocket, in my hand, or next to the computer recharging. For some reason, the seal on the screen was not made properly and some shmutz got under the glass (take a look at the picture to see what I’m getting at) and when I took it in to the genius bar I was told this is “unreasonable use”. I’ve had experiences with the Apple stores in the US and I have friends who have had experience both here in Israel and in the US. I gotta tell you – it’s not the same. I don’t know whether the fault lies with Apple for giving so much latitude to its own employees or for not giving enough latitude to franchisees. I am reasonably certain that, were I to have gone into a US Apple store, my iPod would have been replaced on the spot. Here in Israel I’m told that I used it improperly and I can purchase a replacement – or have them send it to Apple who can make a final determination. Apple got to where it is because of the high level of customer support and service that it gives to it’s customers. There is no other major reason to pay such a high premium for Apple products over comparable equipment made by competitors – whether in the computer or consumer electronics fields – other than the support. This is making me thing that the answer to the poll question I posted the other day might actually be – get a Dell. 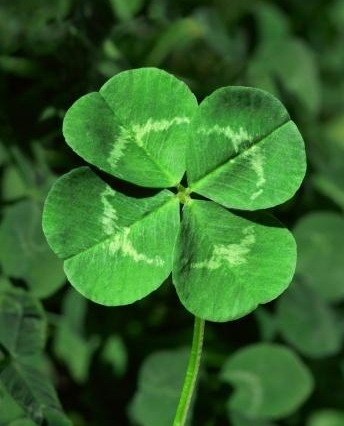 I just want to wish all my friends, family and readers a happy, healthy and safe St. Patrick’s day! You tell me – Air or Pro? I’m debating which one I want – not that I’m necessarily gonna get either but… For general use (browsing, mail, web games, twitter) and maybe some light photo editing and video playback – which is more worth the money, the 11″ MacBook Air at $999 or the 13″ MacBook Pro for $1200? Answer the poll and, please, tell me why with a comment. Inquiring mind wants to know.